I was Master of Ceremonies at the wedding of a childhood friend on Saturday. Leading up to the wedding, my Main Taste Tester was a big help in getting the program and my speech finalized and I was thankful for his assistance. On Friday at work, the receptionist called me to tell me that I had a package at the front desk. When I opened the hot pink gift bag, I saw it was a thank you gift from the bride. I opened it to discover a pair of emerald green sparkle ball earrings! When I got my first pair for my birthday, I was debating between the pair I got then, and the emerald color (my birthstone). I literally squealed when I opened them. Totally unexpected and awesome. 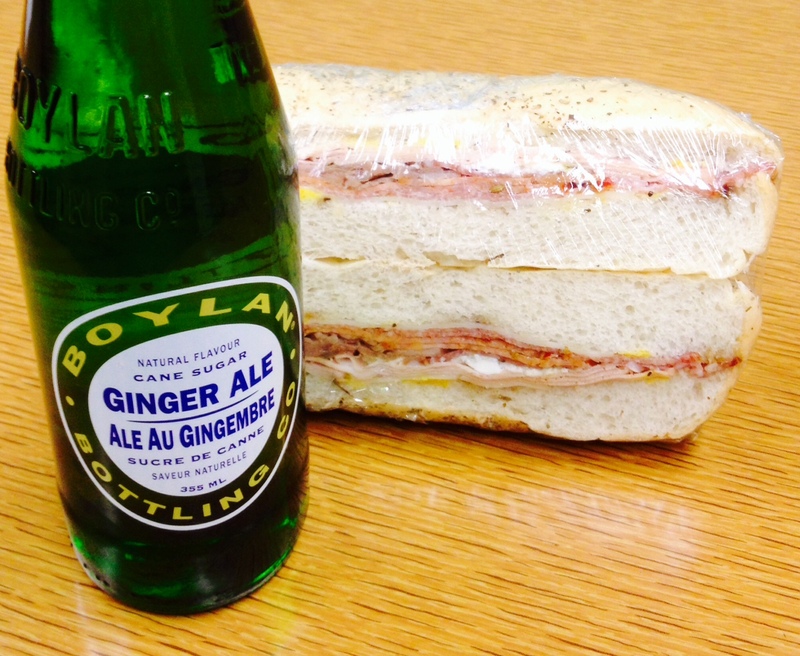 Lunch on Friday was a famous Italian Star Deli sandwich and a Boylan’s soda, my fave. We took my sister Caitlin and her boyfriend Micheal for the first time and they loved it. My favorite parts about the wedding day: watching everyone hide out under umbrellas during the rainy outdoor ceremony; spending time with my immediate and extended family and seeing many people I’ve known since childhood; wearing a brand new dress that I bought for the occasion months before and couldn’t wait to wear; dancing barefoot to Meatloaf and the Spice Girls; and wedding cake, always. On Sunday before my family headed out, we all went to brunch at Jack Keaton’s, a local BBQ restaurant. We’ve been obsessed with it forever; it’s right in our area of the city, locally owned and the food is to die for. On Sunday’s, they do a BBQ brunch and I knew everyone would love it, especially my dad. We were very happy campers there, especially after the previous nights “festivities”.